Should I Renovate or Not? Renovate, move, or do nothing? There are many factors involved in your decision to renovate vs. moving to or building a new home vs. doing nothing. Some factors are emotional and some are financial. No one can really tell you what is the best choice for you, but here are some issues you may want to consider. This decision, of whether to renovate, is of course inextricably linked with, but nevertheless separate from, the question of how much to spend on a renovation project. • How much do you like the current location of your home (your neighborhood, town, etc.)? • What is the aesthetic or historic value to you and to society of your current home? • What are all the costs of moving? • What are your emotional ties to your current home? • How soon would you be thinking of moving from your current home, after a renovation? 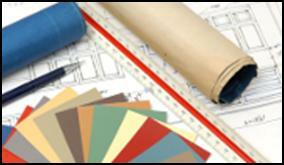 • What would be the cost of renovating? • What would be the equity gain/assessed value of your home after renovating? What is it you're really looking to achieve in a renovation, and is it something that is even likely to be found in the marketplace by moving?